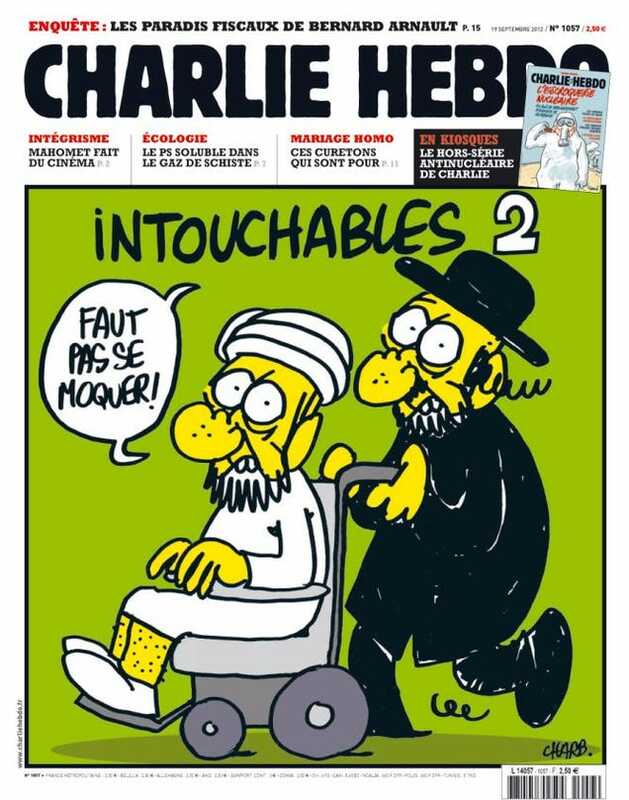 While the satirical magazine Charlie Hebdo is being heralded as a bold voice for free expression around the world, it’s important to remember that the same magazine fired a writer for making a joke about Nicolas Sarkozy–implying that his son planned to convert to Judaism for financial success. The cartoonist was then charged with a hate crime. Some topics are simply off limits it seems. (From 2009 UK Telegraph) Maurice Sinet, 80, who works under the pen name Sine, faces charges of “inciting racial hatred” for a column he wrote last July in the satirical weekly Charlie Hebdo. The piece sparked a summer slanging match among the Parisian intelligentsia and ended in his dismissal from the magazine.